Take poverty alleviation as an example. In countries where 80 per cent of the population is affluent and 20pc in distress, there are many ways of addressing the situation using transfer payments. Reverse the percentages and all those remedies become financially infeasible. The surplus does not exist to sustain them. Countries like China and South Korea have reduced poverty by creating jobs not by distributing welfare. Apply the same analogy to governance. 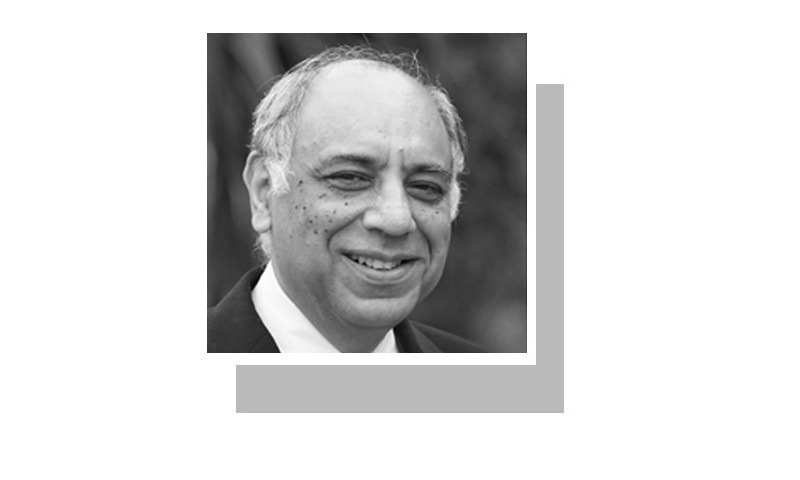 In countries where 80pc of public servants are law abiding and 20pc otherwise, there are a certain number of ways available to ensure accountability without derailing the system. Reverse the percentages and none of those ways are likely to yield the desired results without unintended consequences. Ordinary folk base their choice on pragmatic considerations. Let’s put this to the test and ask on oath all holders of public offices in Pakistan to raise their hands if they believe they are honest as determined by the limited criterion on which the prime minister has been disqualified, ie for not declaring an income that was due but not received. Then add, as one should, the criterion of incomes received but not due. Let us then subject them to an investigation with no statute of limitations by teams including members of the intelligence services. How many do we expect standing at the end of the day and do we really believe we can run federal and local governments and public agencies with this number of individuals? If we don’t, we have to admit that attempting to eliminate dishonesty via a top-down approach may not be seen as practical and could even be interpreted as crossing the limits of authority. That brings us to the crux of the contextual issue. In countries where 80pc of public servants are unlikely to withstand scrutiny, who shall guard the guardians? Giving discretionary powers to some state agents like inspectors, regulators and policemen to apprehend violators will only end with endless side deals in which millions of rupees change hands without any impact on accountability or corruption. Rather, people will invest money in cultivating networks and godfathers that protect them or find ever more creative means to beat the system. Is it any wonder that the kinds of accountability agencies that deliver in rich countries end up being used to harass and nab political and business opponents in poor ones? At the worst of times, the guardians end up striking deals, proclaiming amnesties, and forgiving each other. At the best of times, one or the other gets run over and the game begins anew with the distribution of sweets, high hopes and loud proclamations. It is hard to conceive that the intelligentsia applauding the elimination of corruption in such a partisan and bloodthirsty manner does not see that it makes no structural difference whatsoever. In this regard, the understanding of common people is much more sophisticated. They are under no illusion that any of their public representatives are, or are likely to be, honest and truthful. Ask the person on the street and he or she would inform you without a moment’s hesitation that ‘they are all thieves’. Given their appreciation of the context in which it is virtually impossible for an upright individual to be elected, what then is the criterion they employ to choose their representatives? Very simply, they base their choice on the pragmatic consideration of which thief or set of thieves is going to deliver more for them or their community. Whether this is a sound criterion or not, it is much more in consonance with the socioeconomic reality than the good intentions of the saviours of the nation who may be seen as supplanting the choice of the people with their own selection of kosher representatives. This argument is not to suggest that nothing should be done about corruption, only that the way we, as a nation, are going about it is at best foolish and at worst dishonest. We need to find structural remedies for structural problems and these can only be sought in the intelligent reformulation of constitutional and bureaucratic rules. Term limits, shorter electoral cycles, staggering of national, provincial and district elections, recall provisions, and credible due processes are only the most obvious places to start but there are many other reforms to limit the abuse of power and strengthen the hands of citizens and voters. Frankly speaking, reform is not possible under dynasties. Such a wonderful article. But for a nation in denial; nothing could happen unless we make sacrifices for the greater good. Excellent write up.structural remedies for structural problems..